Service Doesn’t Stop for the Summer! SAVE THE DATE! TELEM Organizing is part of an ACTION! TELEM is about changing lives—yours and others! Make a difference in someone’s life. Have a real impact on an issue you care about. Learn about yourself. Discover what Judaism has to say about pursuing justice. Hang out with friends. Have fun while you’re helping to build a better world! Spend a few hours providing help to someone, make a positive impact on the community, and participate in tikkun olam. The Dnepropetrovsk Kehillah Project (DKP) was launched by JCRC in 1992 as part of a national effort, organized by the National Conference on Soviet Jewry (NCSJ) to link American Jewish communities with Jewish communities in the Former Soviet Union (FSU). The Greater Boston Jewish Coalition for Literacy (GBJCL) mobilizes the Jewish community to help elementary school children discover the joy of reading. 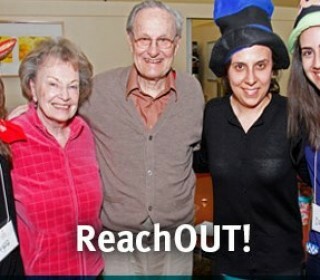 Engaging Jewish young adults in meaningful community service.